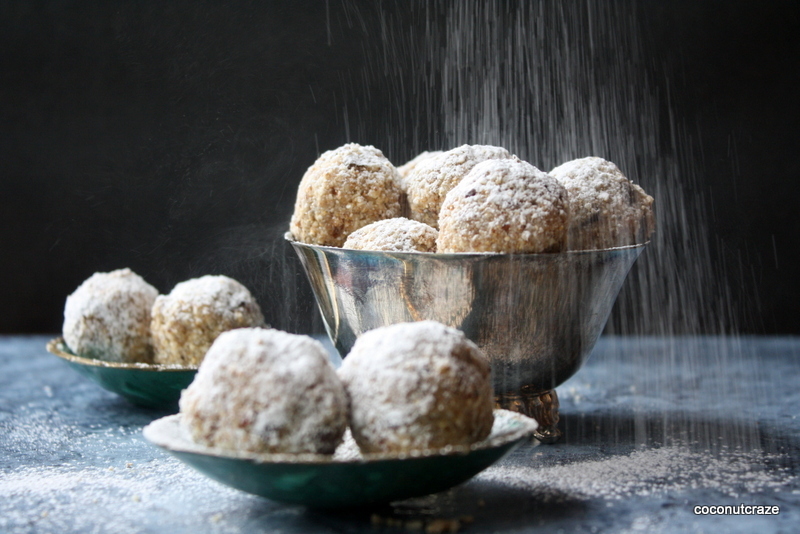 I have a sweet little treat as a guest post for Vidya Srinivasan of Traditionally Modern Food. 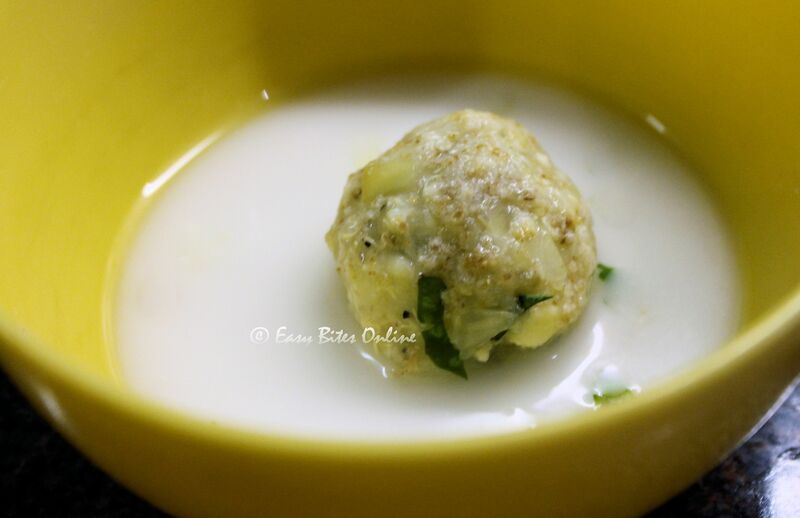 Vidya, is a very enthusiastic blogger and has presented us with many wonderful recipes. I appreciate her friendliness and hard work. She has been encouraging me with suggestions and comments which helped me improve my posts considerably. I like her baked recipes that have a traditional element in it. 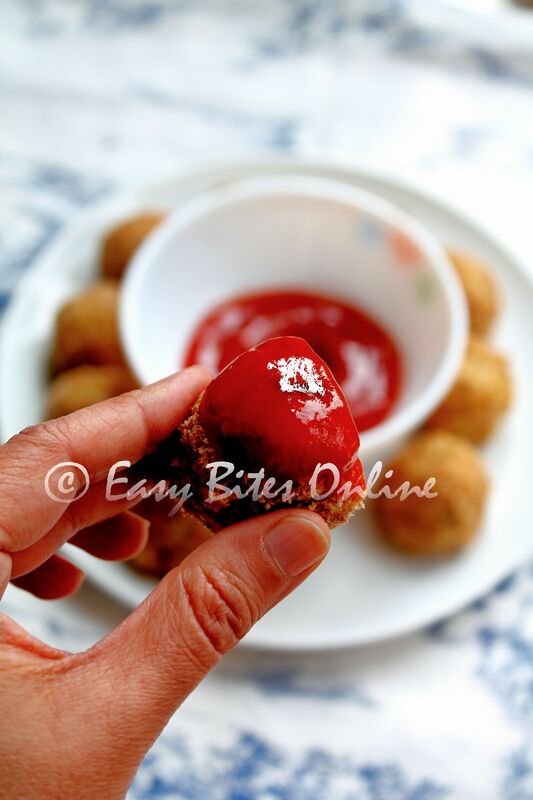 She gives them a modern twist making them less oily and yummy. When she asked me to do a guest post for her, I was in the middle of some activities. 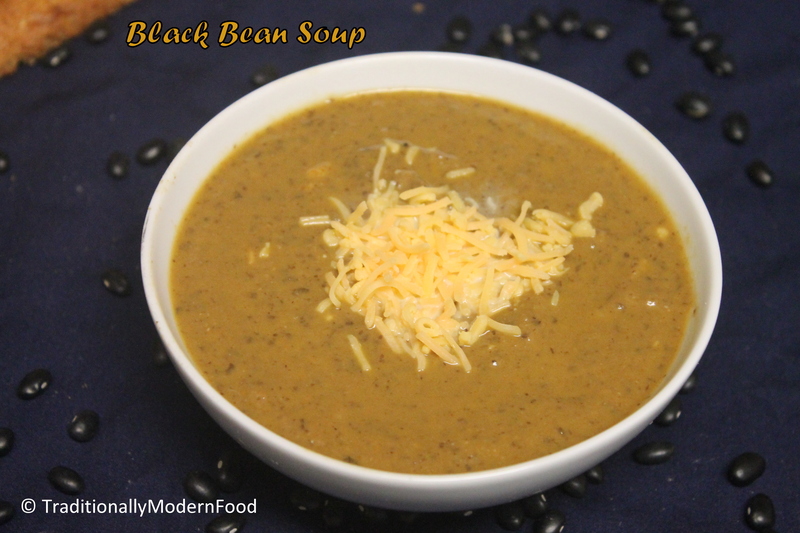 I managed to squeeze in some time and came up with this easy recipe. She suggested a kid friendly recipe and I thought of all things kids can hold in their hands, carry around and eat. My foremost concern was to make it nutritional. I wanted to try something without any artificial additives. It should be attractive to children, easy to make and delicious. I had a lot of things to consider. Honestly, it made me scratch my head and think a bit. 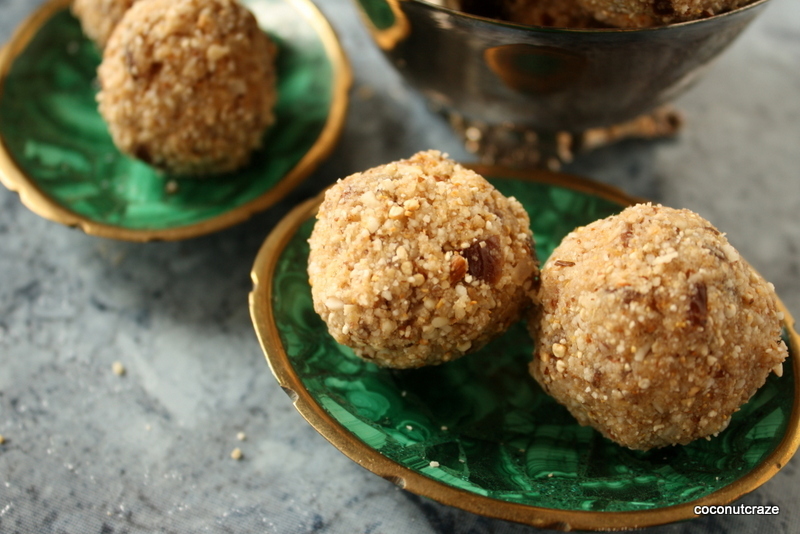 Finally, I came up with this ladoo. Hope you like it! Imagine a guilt free snack! A snack that is handy and provide energy to play for a long time! These crunchy snack balls will provide you all of the above. They are gluten free and refined sugar free if you do not use powdered sugar to decorate. This is a convenient snack to can grab and go! 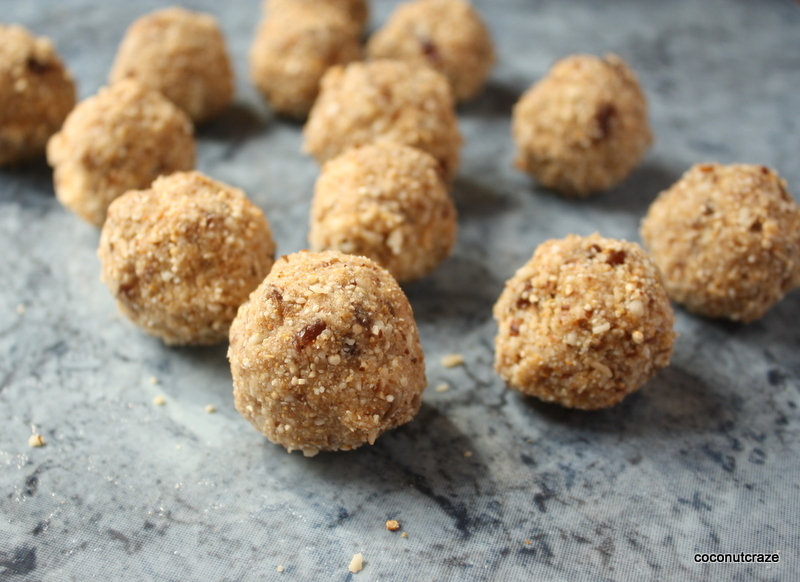 I developed this recipe inspired by a snack ball we make at home. 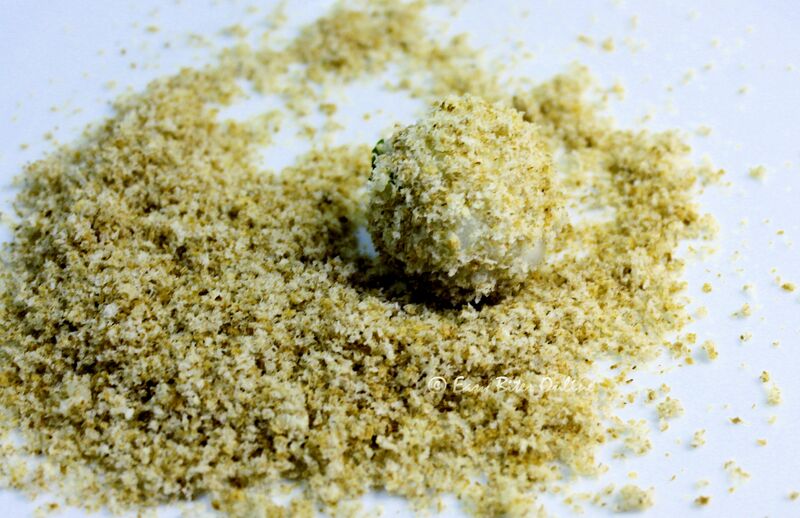 It is from a mix called avalouse podi made using rice flour, coconut and cumin seeds, fried to a grainy texture. Back home, it is our homemade breakfast cereal that is eaten with sugar and slices of banana. 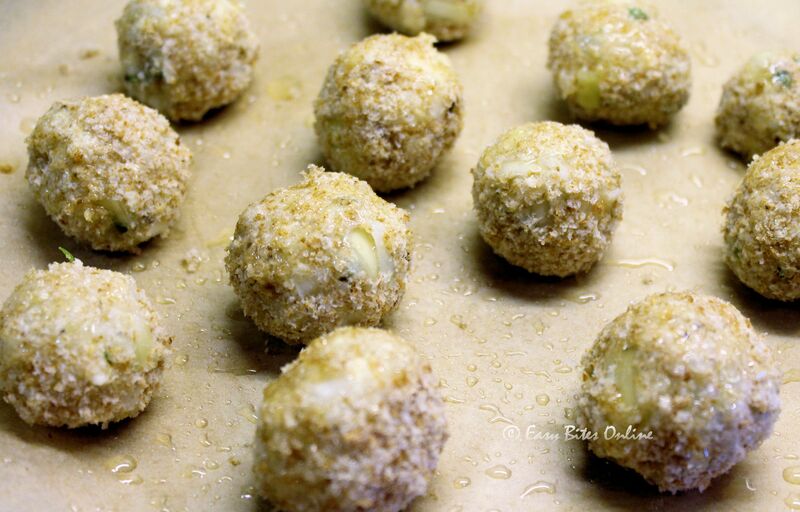 They also make it into snack balls adding melted brown sugar or honey. I thought it was an appropriate snack and tried to add a few more ingredients to enhance it. When I took a bite, I was reminded of my aunt who makes them when we go on vacation to our grandmother’s house. For simplicity, I took equal quantities of most ingredients. You may increase or decrease it as desired. Soak pitted dates in water for 20 minutes. Chop soaked dates into small bits. Take a heavy bottom pan and roast oats, rice and quinoa each separately until golden brown. 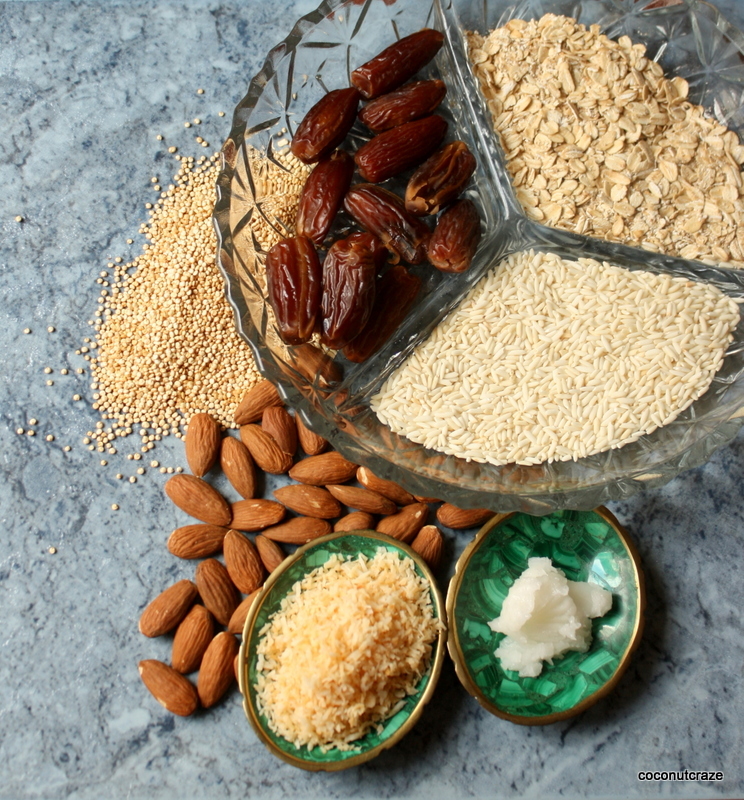 Add raw almonds and chopped dates to the roasted ingredients and pulse it in a blender in small batches. Powder it to get a coarse texture. Mix the powder with coconut oil. Add enough honey to the mixture to make it moist enough to hold. Roll them in your hand into small balls. I made 16 balls with this mixture. They harden after they rest a while. Store them in air tight containers or in a refrigerator for weeks. You feel a satisfactory crunch when you chew it. Sprinkle powdered sugar for an attractive coating or dust with chocolate powder if your kids like it. This is exclusively a kid friendly snack but if you have a kid in you, go ahead and enjoy it! When I made this at home, surprisingly, it was the oldest member in the house who loved it the most. So there is no age limit to taste one and run back for more! Thanks you for inviting me and having me post in your space, Vidya! 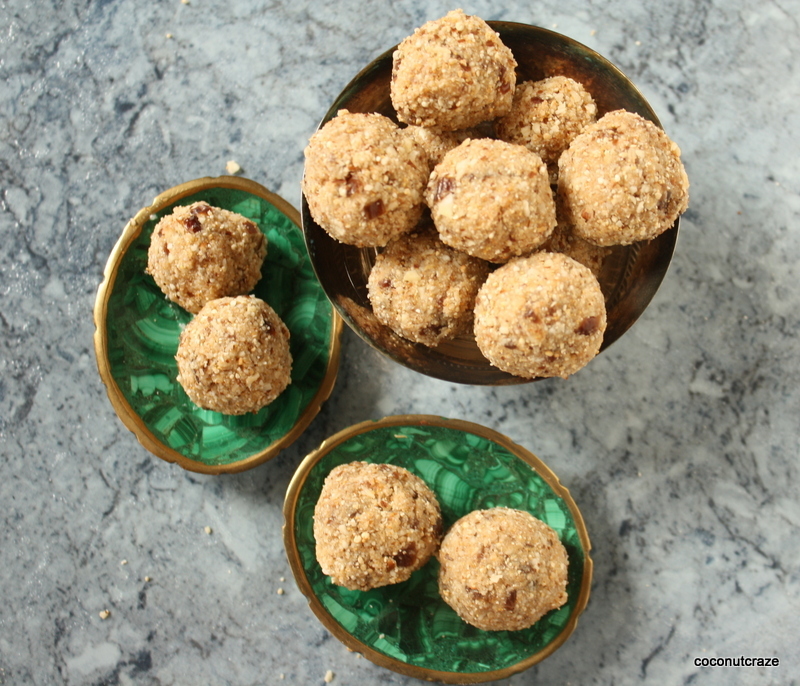 Snack mania continues and today we have Mullai from SpiceIndiaOnline. Mullai and I become friends recently but in a short span of time, we have become close to each other. Though I am a Amateur blogger when compared with her blogging experience, she never treats me so. She is friendly and kind, shares her blogging techniques and things which worked for her. My India trip is fast approaching and time to prepare something for my hubby and freeze it when was thinking what to do, Mullai gave me a lot of interesting ideas. I have to check her blog for more recipes. During our calls one day I told about Guest post and she squeezed sometime between her busy schedule and gave this yummy snacks. Can someone say no to this beautiful crispy snacks?? Writing a guest post is all new to me… one fine morning Vidya casually pinged to chat and from then on we became good friends. That fun chat still continues with never ending conversations until duty calls. Vidya Srinivasan, who i’ve known for a few months now is a very dedicated food blogger..runs this beautiful, very impressive blog called “traditionallymodernfood” with wonderful collection of both traditional & modern recipes. She mostly shares simple recipes with easy instructions and keeps it interesting & neat. She is one sweet person with humble attitude and when she asked me to write a guest post on toddler friendly food I couldn’t say no. 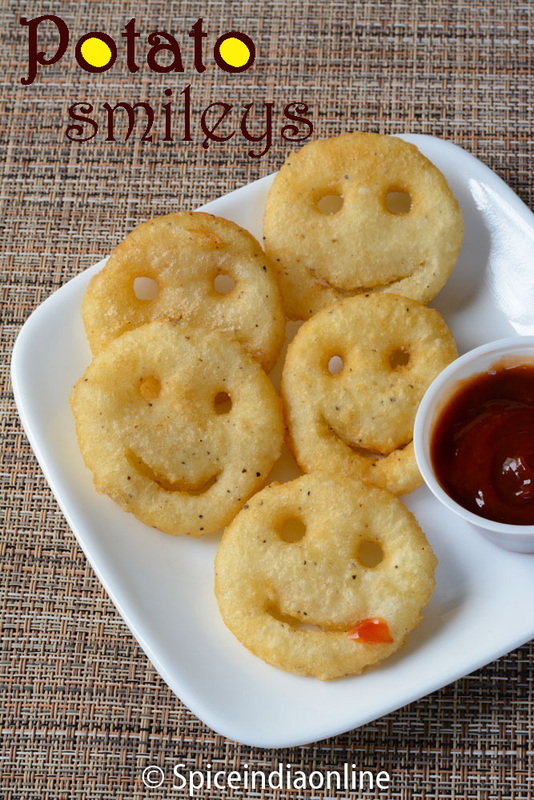 While googling for a good one, I ran into YummytummyArthi’s space which had this fun recipe called Potato smiley faces which caught my eyes, which made me feel like a kid in the candy store! 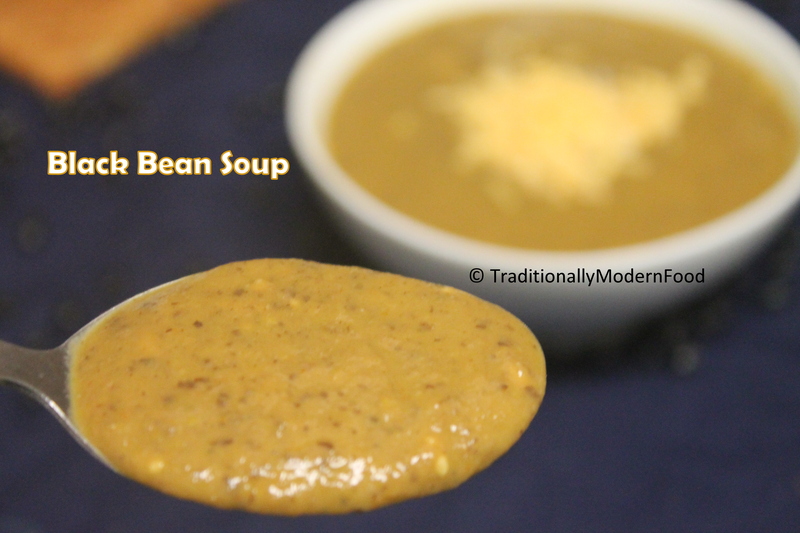 Well this recipe is inspired from that with few alterations to suit my taste. Though not that healthy, it will for sure impress your kids and I can assure that it will definitely bring a smile on their face. Try it out! This mixture will be very sticky, add salt, black pepper powder and just half of the corn flour and make a stiff dough. Add more corn flour until the dough looks firm. Cover and refrigerate for atleast an hour. 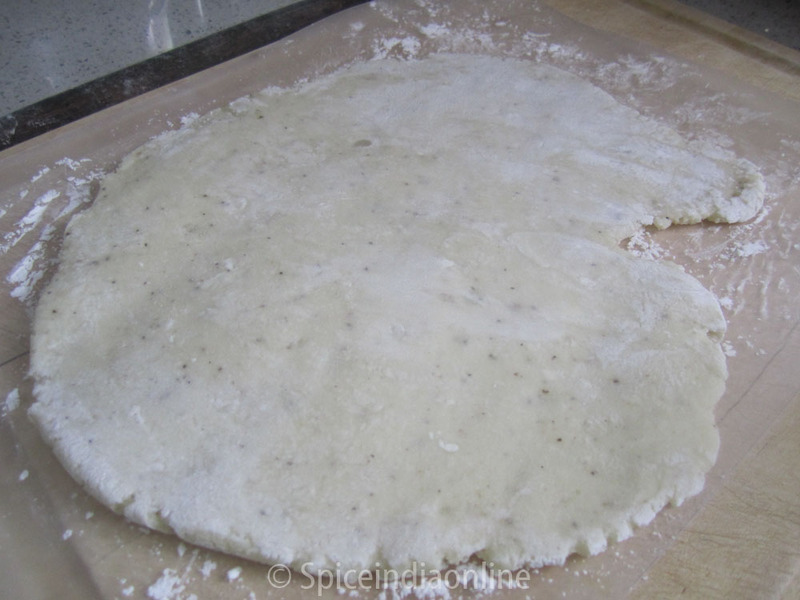 By now the potato dough would have turn stiff.Dust corn flour on a board and roll out the dough flat for about 1/4 inch thickness. Using a cookie cutter cut them out into small circular discs. Using big hole straw punch the discs as shown for the eyes. Then using a spoon press to shape the mouth. Heat oil and deep fry the smileys… they just dance around in the hot oil, bubbles of oil oozing out from their eyes and mouth will look as if they are talking to you. Once they turn golden brown on both sides, remove and drain excess oil by placing them on a paper towel. Serve hot with ketchup! 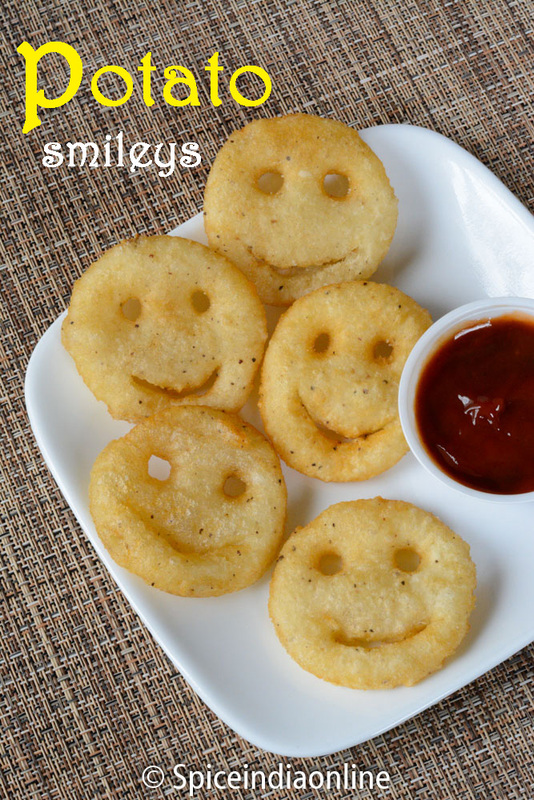 This recipe will yield about 15 smileys, make them ahead of time, dust with corn flour and refrigerate. 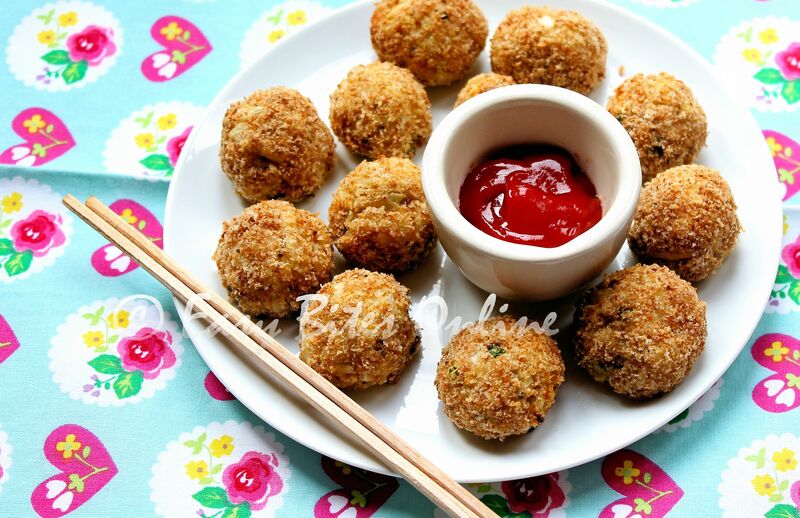 Make it in the morning and refrigerate and fry when the kids long for an evening snack. Oh…there’s already a naughty one licking up the ketchup! What can I say about this sweet and silent director behind TMF (Traditionally modern food). She has released so much sooper doper movies(recipes) which are great hit and some are considered for National awards, Oscar awards and many got published in Newspaper too.. Evunga periya aalu makkale. All her movies(recipes) are my favourite and arisi thegai payasam is one the top. She is an active director who release movie(recipe) often and a famous big distributor in FB. Her movies are a great hit in FB groups. Am so happy to act in her direction and a big Thank you for giving this opportunity dear. May our friendship grow forever.. Wish you all the best for all your future endeavors. 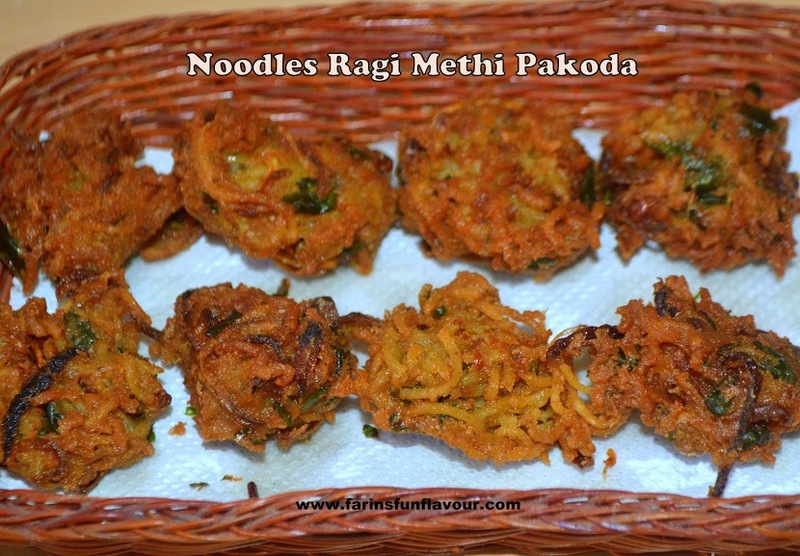 About today’s Movie Noodles Ragi Methi Pakoda. Even to name my baby I was not that much confused. Since this movie has lots of heroes not sure what appropriate name to select. Finally twisted ma very tiny brain and select this name.. Not sure how many will agree??? Don’t worry about the deep fried version, as it has Ragi Powder and Methi leaves in it Minus * Minus = Plus… Hot hot pakoda’s Movie is awaiting for you. Cook the noodles as per the packet instructions. Clean and wash the methi leaves. 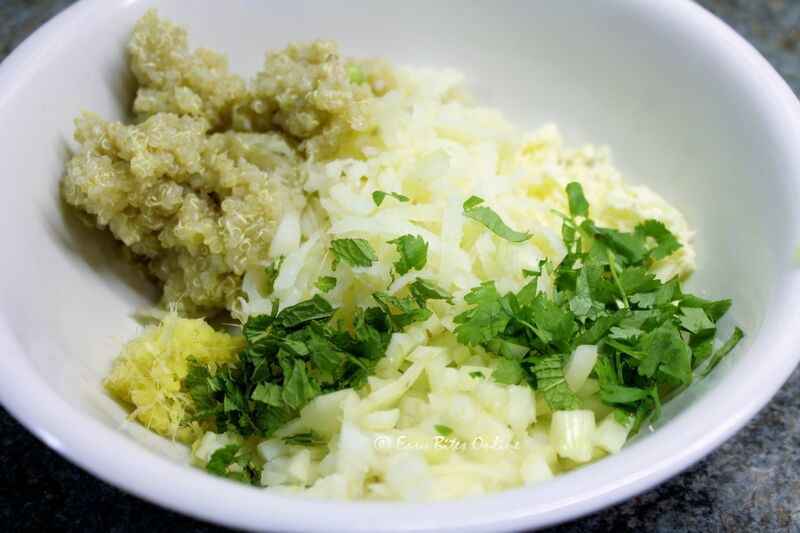 Slice the onions, chop the green chilly and methi leaves and make it ready. To the noodles add the sliced onion, green chilly, chopped methi, Ragi powder and mix it well. Now add rice flour and red chilly powder and again mix it. Heat oil in a pan, Pinch a small ball size from the mixture and drop it in the oil as we fry for pakodas on medium flame. Cook on both the sides by flipping it often. Once it turns brown, drain it in a kitchen tissue and serve it hot. 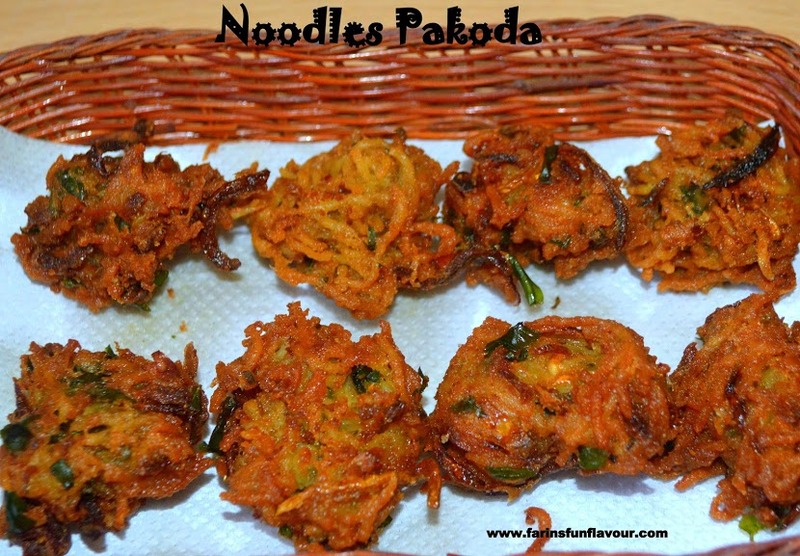 I have used Ragi flour for binding, you can also use besan.Using of Rice flour is optional, it gives a nice crispy texture to the pakodas. 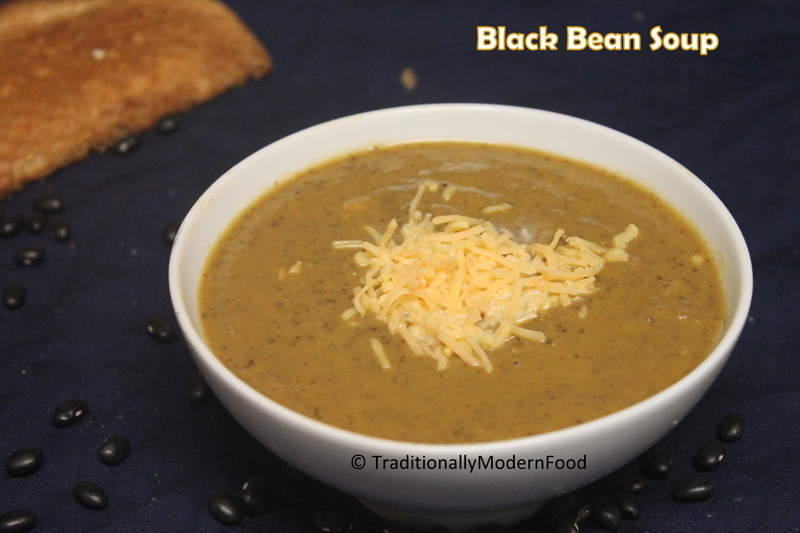 Hi I am Malar , so excited to do a guest post for Vidya’s Traditionally Modern Food, a fabulous blog. 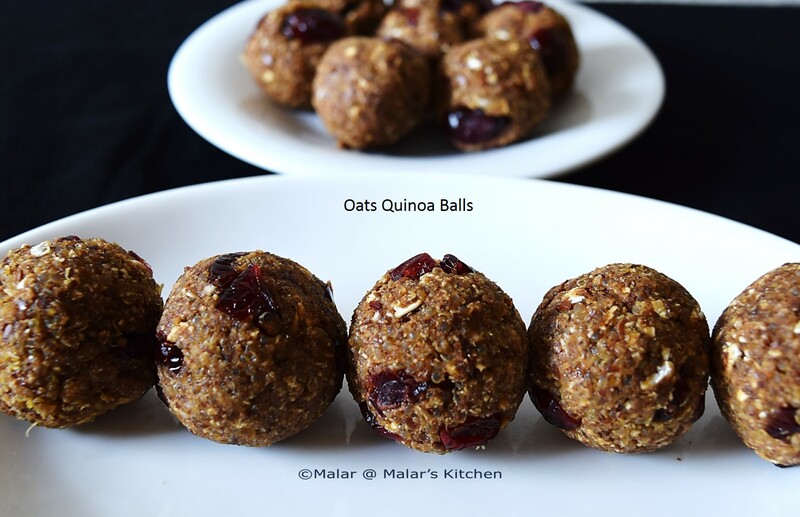 My blog is Malar’s Kitchen. 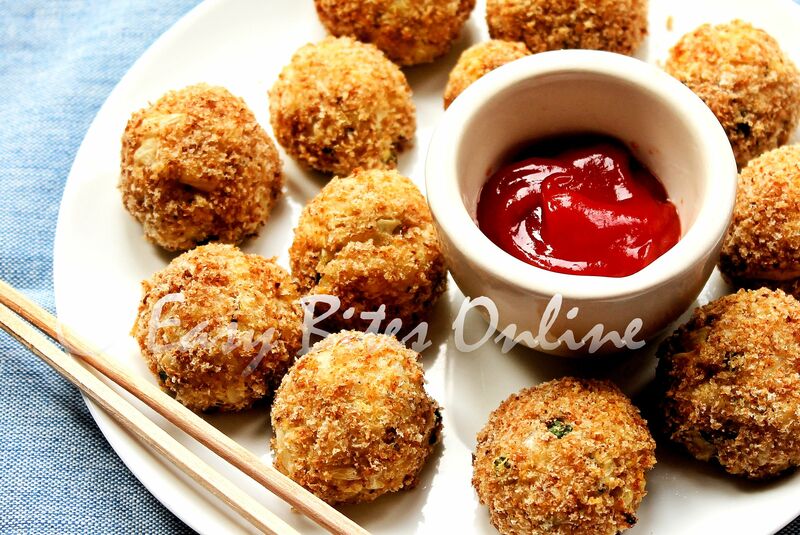 You can find various Indian recipes along with few other cuisine recipes. 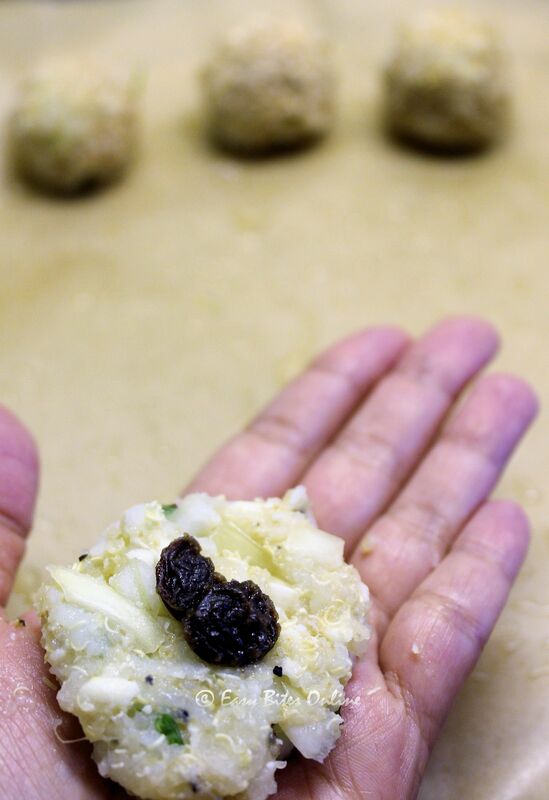 I have a lot of chettinad recipes too, if it might excite you. Vidya and myself, we started following each other during our initials days of blogging, eventually we got along so well. From blogging she turned out to be a very good friend of mine. 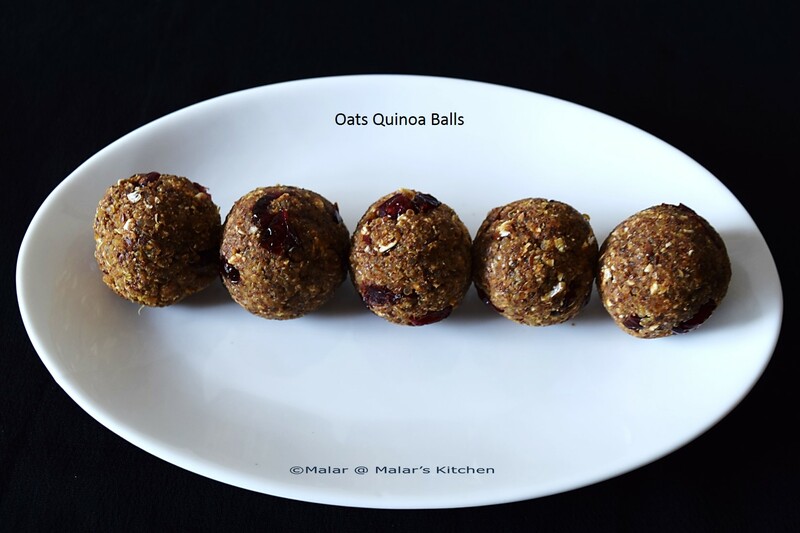 We chit chat a lot, just not blogging many personal stuffs too  It was long time back we decided that we should do guest post for each other and being friends, we took enough advantage of postponing 😉 Finally I am here with a guest post for her with Oats Quinoa Balls. Few details on my blog. Hopping on to the recipe…..
Dry roast Oats for 3 to 4 mins, until nice aroma rises. Dry roast flax seeds for 2 mins. Now powder oats and flax seeds either together or separately. Clean quinoa and cook with water in high for 6 mins, simmer for 12 mins. Switch off when quinoa turns fluffy and soft. Heat jaggery with just enough water to bring it to boiling state. 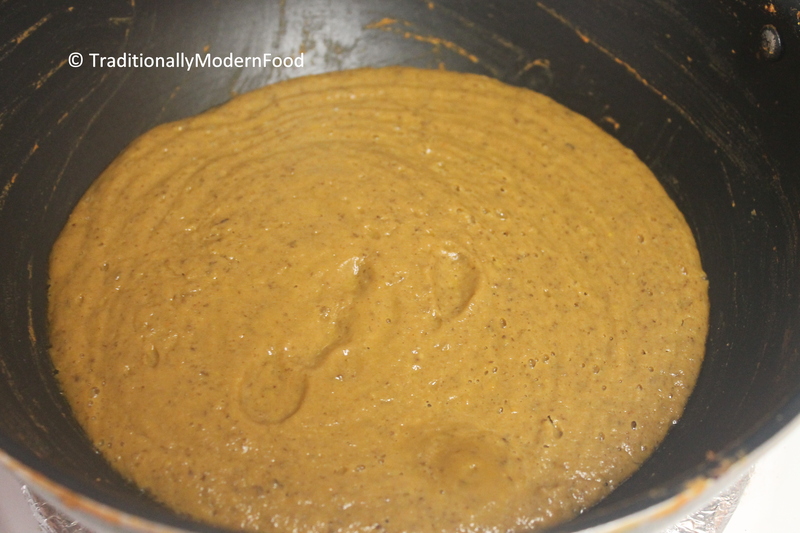 Now mix all of the together along with dry fruits and vanilla extract. Form a nice dough. Make small balls out of it. 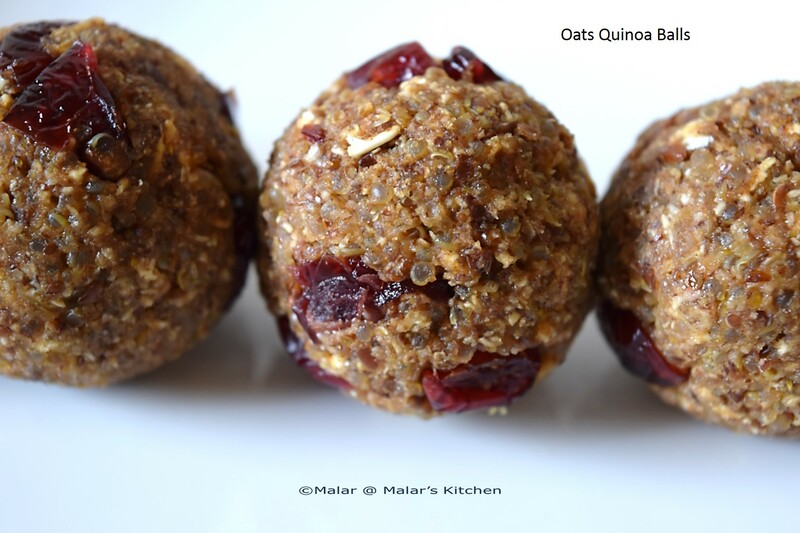 Healthy oats quinoa balls are ready. Place in an airtight container in fridge stay well up to 20 days. When Vidya mailed me for a guest post I was really shocked for I could not believe how a person who has achieved so much in blogging could trust a new blogger like me.This is my first guest post here.I really wanted to give my best for the trust she had on me.I am so glad to have her as my friend here.I love all her traditional recipes especially the Poondu Kulambu and Karadaiyan Adai. I am a big fan of her Microwave oven recipes . 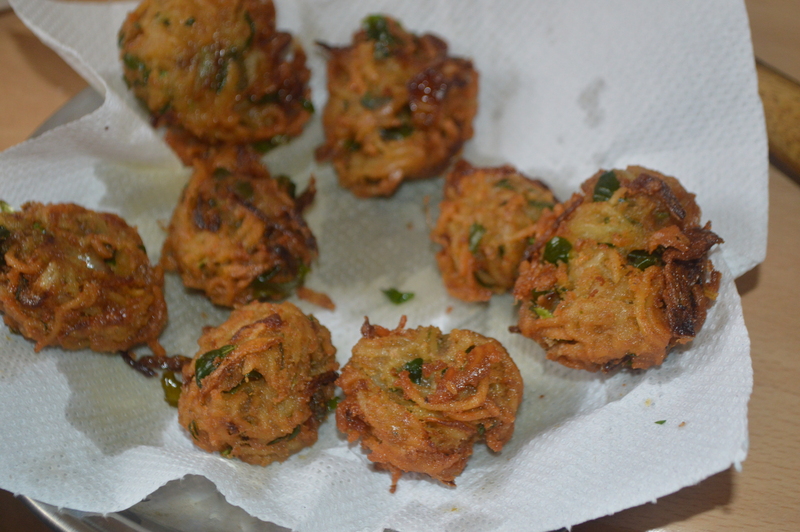 I guess its time for me to start making them at home for I have gained lot of weight after starting this food blog. .I really want to thank Vidya for giving me this opportunity to let me write on her space. 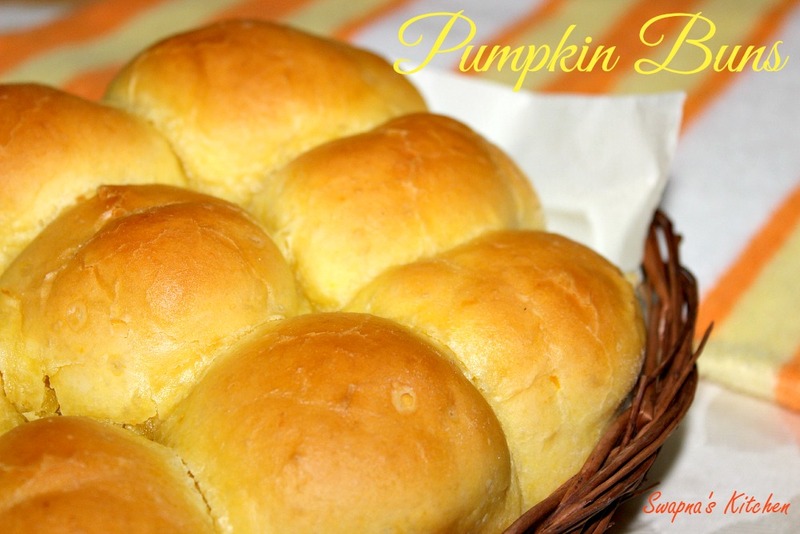 After mailing her some few recipes she selected Pumpkin buns for her cute little son loves pumpkin puree .So this post is especially made for her little boy who loves Pumpkin and his mother who loves him…. Pressure cook the pumpkin for a whistle,grind them and keep it aside.Add 1/2 tsp of sugar to warm milk and add the yeast to it.The yeast will rise in few mins. In a large mixing glass bowl,add sugar,warm milk and 1/2 cup warm pumpkin puree.Then add melted butter ,yeast and mix them well. Add the all purpose flour little by little (1/4 cup) and mix them well until a mild sticky dough is formed.Now transfer the dough to your work space ,sprinkle some flour and start kneading the dough for 15 mins. Place the dough in a glass bowl and cover it with a plastic wrap.Leave it in a warm place for an hour until it doubles in volume. Transfer the dough to your work space and knead it for 2 mins to remove the air bubbles.Divide the dough into 12 equal parts and roll each part into a ball.Place the balls in a baking dish and cover it with a plastic wrap.Leave it for 30 mins to rise again. 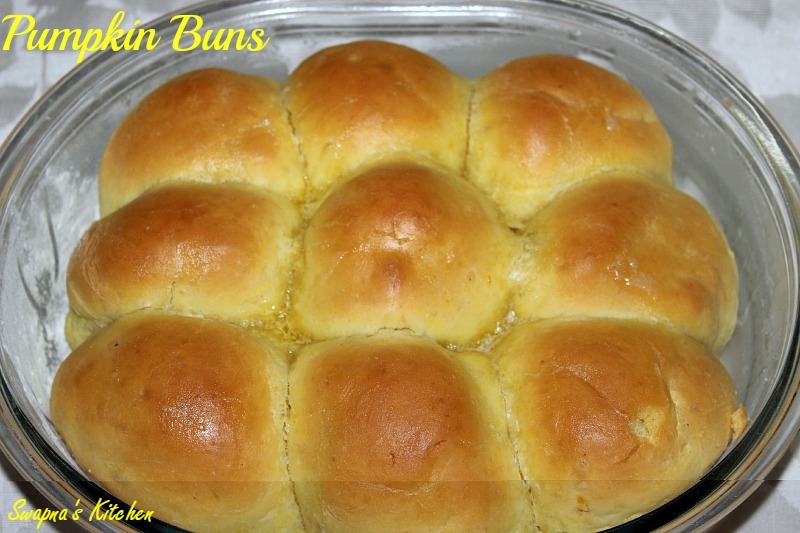 Bake at 350 degree F for 15-20 mins or until the tops are lightly brown.Brush the top of the buns with melted butter.